Welcome to Residential Savings Mortgage. We specialize in a wide variety of loan programs to fit your exact needs. Start our no obligation form on the right and get a rate quote in minutes including closing costs. 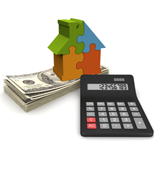 At Residential Savings Mortgage, we will find the loan that is perfect for your scenario. "Darren Scott and his time were very organized and walked us through the entire process. His team is always available to answer questions and all fees quoted upfront were accurate and matched the final closing numbers. I would recommend Darren and his team to anyone looking for a home loan." 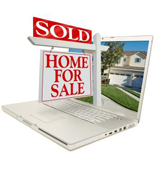 "Darren was very helpful thru the process and made it simple as we purchased our home. he worked very well with our agent and we closed without any issues and on time. I recommend him if you are looking for honest and straight forward agent that looks out for you." "Tahir and Shakira were extremely helpful the entire time. As a first time home buyer, I was not very knowledgeable about the process so I felt very fortunate to have these two to call on. They were very responsive and willing to help me understand every detail as we went along. My family and I are very happy in our new home! I HIGHLY RECOMMEND RESIDENTIAL SAVINGS!" Tahir Khan and Lisa are a great team you can trust.They keep their word and make sure everything will go smoothly.Had a excellent experience with them when I moved in to FL from out of state.Much recommended. I worked with Residential Savings Mortgage for the purchase of our home and again for my refinance . I can honestly say that Michael Carmell and the staff there made my process fast, easy and pleasant . They are very helpful and informative through it all. After my first experience with them, I didn't think twice. I called Michael as soon as I was thinking about refinancing my home because I knew I could trust them and that I would be in good hands. I highly recommend Residential Savings Mortgage. They truly deliver what they promise and guide you step by step until the very end . I take pride in providing you with excellent service and appreciate the opportunity to assist you with your mortgage needs.